Tis the season of standalones, it seems. Right on the heels of the Oculus Go launch, the Lenovo Mirage Solo is here. The headset promises to bring one of the top features of high-end VR headsets—positional tracking—to Google’s casual Daydream VR ecosystem. Does it succeed? Read on to find out. 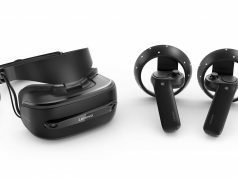 While Lenovo has previously launched their own PC VR headset (the ‘Explorer’—part of the Windows VR platform), the Mirage Solo is a whole different beast. Rather than being powered by a PC, this standalone headset has everything needed for a VR experience built right in—processor, display, battery, etc—and doesn’t rely on a docked smartphone like other Daydream headsets. 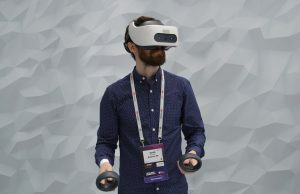 The idea is that this will reduce the friction of getting into VR by having one device that’s ready to go as soon as you can throw it on your head. 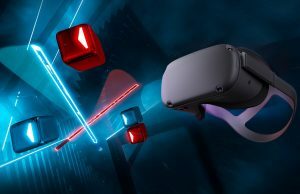 And, unlike the Go, the Mirage Solo includes a pair of cameras on the front of the headset which enable positional (6DOF) head tracking, allowing users to do more than just rotate in place. As usual, we’ll start with a condensed summary, and go in-depth further down. 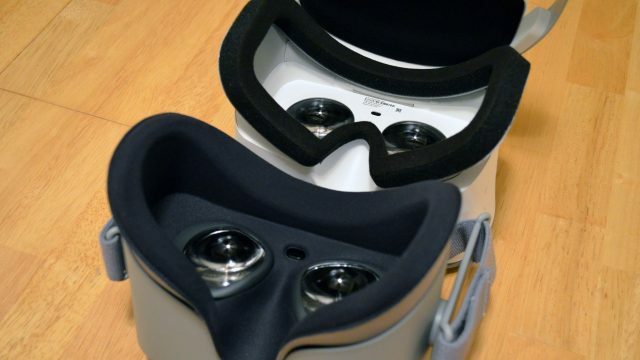 With a similar resolution to Go, Gear VR, and other mobile VR headsets, you might expect that the Mirage Solo would look more or less the same, but that’s not the case. 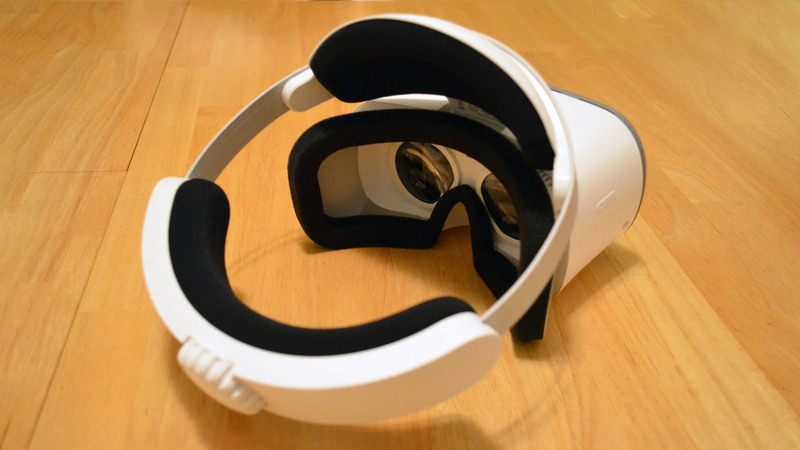 While the headset is capable of providing some impressively sharp views with minimal screen door effect thanks to a high fill factor, the Fresnel lenses are prone to quite prominent god-rays in high contrast scenes, and have a small sweet spot which makes things begin to blur quickly if you turn your eye away from the very center of the lens. The ergonomics of the headset are borderline awful. Everyone has a differently shaped head, but I’ve not come into contact with another major headset that fit so poorly. When I put on the Mirage Solo I feel like I have to pick either comfort or clarity, because the small sweet spot of the lenses demand careful alignment with the center of your eyes for a sharp image. Even though I was able to wear the headset for more than an hour continuously, it put a lot more pressure on my forehead than it seemed it needed to, and slightly pinched my nose (which every so slightly reduces your usual air intake which manages to be highly annoying). It’s possible to adjust the headset to be more comfortable, but you’ll sacrifice a good deal of visual quality and field of view. The lack of built-in audio, forcing you to fiddle with headphones or earbuds, is a step backwards in convenience and an unfortunate oversight. Despite poor ergonomics and picky lenses, what should be the Mirage Solo’s defining feature—6DOF positional head tracking—works impressively well. It’s fast, accurate, and robust. With 6DOF head tracking you can learn forward and back and even walk in a small area. There’s no custom boundary system, instead you’ll just fade to black after walking a few steps and be asked to go back to the center of your volume. That’s a shame because it means you can’t draw out specific playspaces to make sure you don’t bump into anything. But, only your head is tracked in 6DOF. The controller is still 3DOF only, which means it range of motion is limited to feeling like your elbow is attached to your torso. 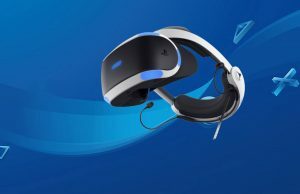 As you move your head, the controller moves with you, but it’s awkward to not be able to naturally reach into the virtual world in front of you when your head tracks through it readily. 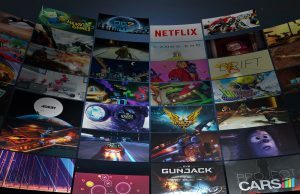 I said that 6DOF should be the Solo’s defining feature—ostensibly that’s why Lenovo thinks you’d pay twice as much compared to an Oculus Go—but few apps today are actually taking advantage of 6DOF tracking as an enabling technology for deeper and more immersive gameplay. 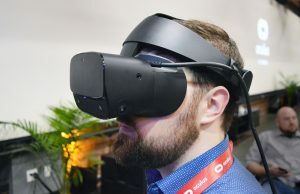 That could change in the future, but it could prove challenging to convince developers to focus on the only 6DOF Daydream headset available today, instead on the much larger install base of pure 3DOF mobile VR systems. Like other mobile VR headsets, including Go, the Mirage Solo still needs to bring more ‘must-have’ apps to the table before it will offer real value to customers as an entertainment device that goes beyond novelty, especially at $400. 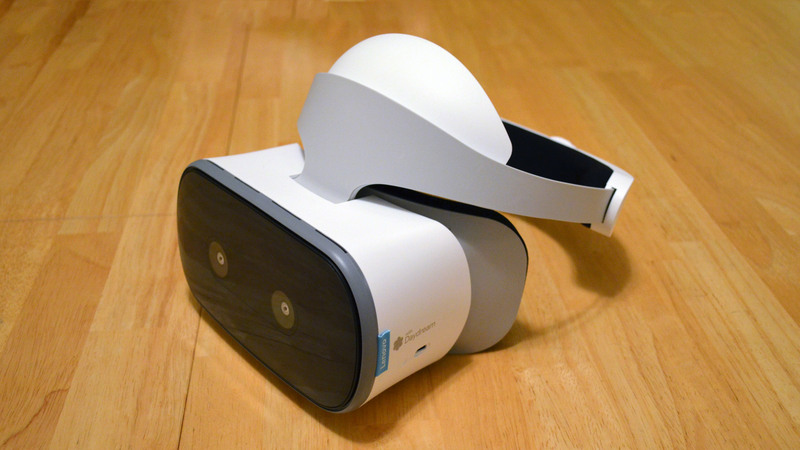 Powered by a Snapdragon 835 SoC, the Lenovo Mirage Solo boasts a 1,280 × 1,440 (per eye) fast-switch LCD display, a resolution which matches most other major mobile VR headsets. 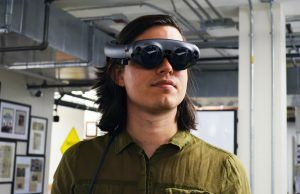 Lens-wise, the headset uses a pair of custom Fresnel lenses. 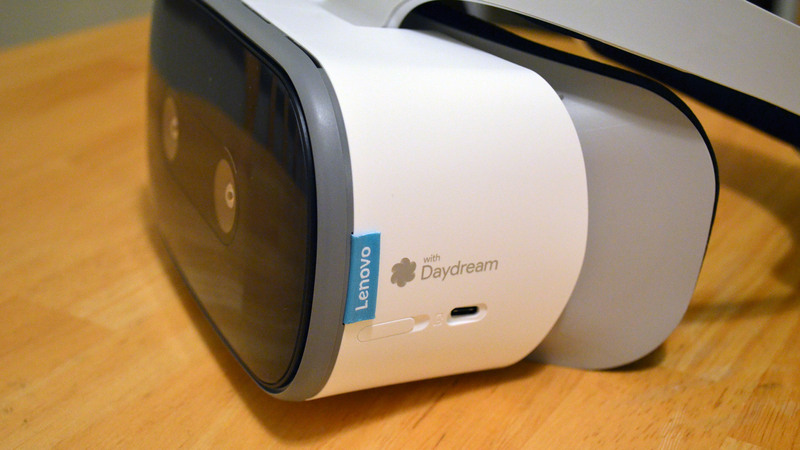 Considering the single display, the headset doesn’t have an IPD adjustment. At a 75Hz refresh rate, I saw only occasional, minimal flicker in bright scenes. 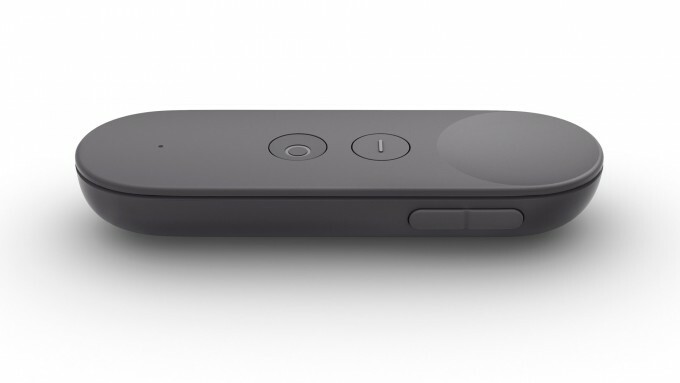 A 4,000 mAh battery gives the headset around three hours of continuous use. At times the Mirage Solos visuals can look quite good, better than the Go even. The LCD display lacks the contrast that we see from headsets using OLED displays, but it makes up for it with the elimination of ghosting. Furthermore, the fill factor is very good, which leads to a less pronounced screen door effect. While the Solo’s screen door doesn’t look as much like a grid as we see on Go, its display does produce a different kind of screen door under the right conditions—certain colors show a quite visible polka dot pattern that doesn’t look quite like the screen door effect that you’ve seen with other headsets. This is only sometimes visible, generally with dull, flat colors, but when it does it stands out quite a bit. That could largely be forgiven, as it mostly disappears with the right colors and tones (which developers could strategically avoid), but the small sweet spot of the headset’s lenses isn’t particularly forgiving. The sweet spot is the region where your eye will see maximum sharpness, and when it’s small, things will start to look increasingly blurry as your eye moves away from looking through the dead center of the lens. On the Mirage Solo I found that the periphery of the lens became blurrier sooner than some other headsets, and I had to consciously adjust the way I was looking through the lenses to recenter my gaze through the middle in order to get a sharp image. This is especially annoying for text, which often feels blurry just a few degrees away from the dead center of the lens. In addition to blur, the Fresnel lenses introduce quite apparent god ray artifacts, glares of light that are especially visible under high contrast (like white text on a dark color). Chromatic aberration, the separation of colors, on the other hand, is quite subtle, and the Solo gets good marks there. So if you’re looking through the dead center of the lens, and not coming up against one of the artifacts I described above, the Solo view through the Solo can actually look pretty darn good, possibly even better than the Oculus Go (which in my opinion beats out Gear VR). However, the view is only good under the best conditions, and the Solo’s poor ergonomics do little to help. Maybe the headset comfortably fits someone’s head out there, but it hardly fits mine. Every time I put on the headset I feel like I have to choose between a comfortable fit or the ideal lens position. If I adjust the headset’s halo-style strap for maximum comfort, I’d literally need the display enclosure to rise a full inch in order to get it properly in front of my eyes, but unfortunately no such adjustment exists. When I adjust for the best lens position (to keep my eyes in the sweet spot), I end up with the forehead cushion only touching a small part of my head, meaning a lot of pressure in a concentrated area, not to mention the rear strap has to be very high up on the back of my head, rather than snug under the crown of my head. Adjusting it the most comfortable way makes it literally unusable, so of course I’m stuck with the uncomfortable fit that allows me to actually see (and also slightly pinches my nose shut—which is a cardinal sin of VR headset ergonomics). It’s a shame because if the ergonomics were better, it seems like the Mirage Solo could be a really comfortable headset, and a better ergonomic design would also help alleviate some of the issues with the lenses. Looking at the headsets side-by-side, while one can occasionally glimpse a crisp and clear view through the Solo’s lenses, the Go takes the cake on overall clarity because it makes it much easier to keep your eyes in the sweet spot. 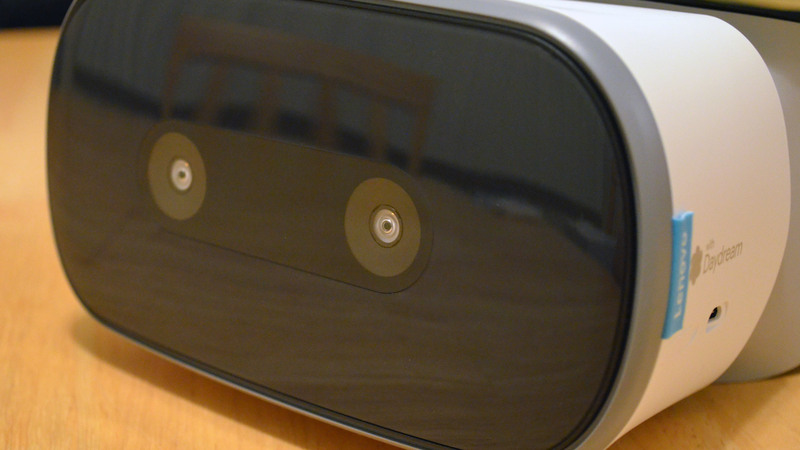 But the Mirage Solo does something that the Go simply can’t do—positional tracking (6DOF). 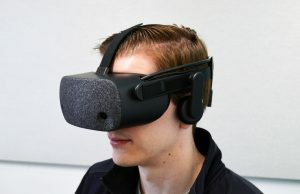 Thanks to a pair of cameras on the front of the headset, the position of your head is tracked in 3D space, meaning you can lean forward and back, and even take a few steps around and it’ll look natural in VR. If you did that with the Go, which only supports 3DOF tracking, you’d find the virtual world awkwardly stuck to your head as you tried to lean or step around. The positional tracking on the Mirage Solo is very impressive. Using Google’s ‘WorldSense’ tracking, positional movement is robust, accurate, and low latency, and I haven’t seen it ‘flip out’ once (except when using it on a plane, which quite confused it). Even when I completely covered one of the cameras, I found it was able to cope without major issues. It really feels like Google has cracked the code on inside-out positional head tracking. 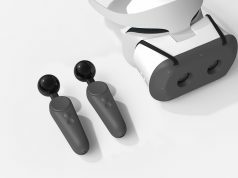 But there’s a big catch, which might not seem so big at first: while the headset is tracked in 6DOF, the controller (which is identical to all previous Daydream controllers) is only capable of 3DOF (rotation only). 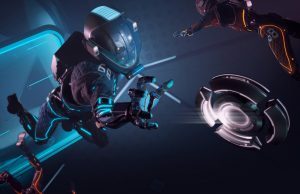 So while high-end VR headsets let you move through space and reach out to intuitively interact with the virtual world, the Mirage Solo’s controller is effectively stuck on the end of an invisible pole which is attached to your head. While the system does make some guesses about how your hand is moving, and can follow a limited range of movements, you are effectively limited to moving your hand as if your elbow was stuck to your torso. That’s not a problem per se, but it limits the design space that developers have to work with to create compelling experiences. It’s not only limiting, but it’s also potentially more complex than developing for a pure 3DOF or pure 6DOF system. 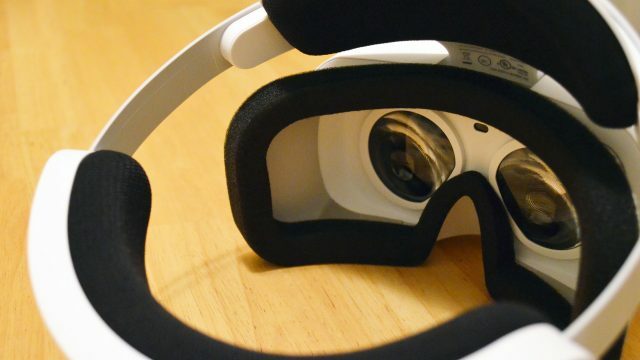 And when you consider that the vast majority of mobile VR headsets out there right now are pure 3DOF systems, I have to wonder how many developers will take the time to take advantage of the Mirage Solo’s 6DOF capabilities in a way that goes beyond the added comfort that automatically comes with 6DOF head tracking. Content is king. No games no sale, why is that so hard google? “Put it this way. 3dof is a puke fest.” This comment alone makes me wonder if you ever tried it, cause it’s anything but puke fest. 3dof or 6 never made me vomit over anyone or anything. Respectfully, as someone who is incredibly prone to motion sickness, I’m not sure what 3DoF apps you were playing to make the whole collection a puke fest. There were a couple apps that made me a bit sick… usually rollercoster or flight simulators… but the majority of 3DoF didn’t make me sick. On the other hand, I do agree that 6DoF is substantially better experience. I was really hoping this would be a better review! 6DOF in a portable headset was a really great promise. Sounds like they delivered on that point, but if it hurts to wear… Does anyone know if it’s possible to get Google’s “Welcome to Light Fields” on it? Thank you again Ben for the critical but fair review. Sadly, too many headset designers are taking the lazy way out with using Fresnel lenses and I noticed that the Samsung Odyssey has they same issue with the “sweet spot,” which can be aggravating in an action game which requires you to focus your weapon. How does the 6DOF compare to the MSXR 6DOF since they both use a stereo SLAM variant? Funny that you can’t create boundaries, since this is the advantage with an all-in-one, and one of the great things I have found with my MSXR & my “VR Beltpack” that you can walk around just about anywhere as long as enough clutter (or patterns on the walls & floor) and of course no objects or walls to bump into. Of course this adds about $500 to the cost of the headset, but it performs better than a mobile experience based on a Snapdragon 835. Looking forward to creating a lightweight “runners” type backpack with the Intel Hades Canyon as soon as it comes in. If successful, I will either make the plans free or start a Kickstarter for a frame/harness/power circuit kit. All you would need to do is supply the readily available Li-Ion battery pack. How does the 6DOF compare to the MSXR 6DOF since they both use a stereo SLAM variant? Simple. The MXYZPTLK version of LMKNW is part of AARP and NJUJ; when combined they work in SLAMBAM synch. I assume you would call this SARCASTIC HUMOR, right Peter? Fresnel lens is the best lens whe done properly. 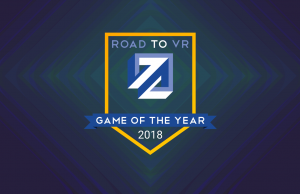 Proof is the amazing Oculus Go lens. 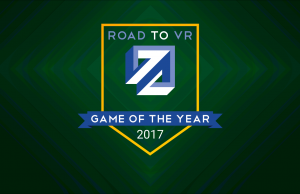 PS: I find that the Go has better VR games than PC VR. Fresnel is based on ancient technology. It really belongs in light-houses or solar farms. 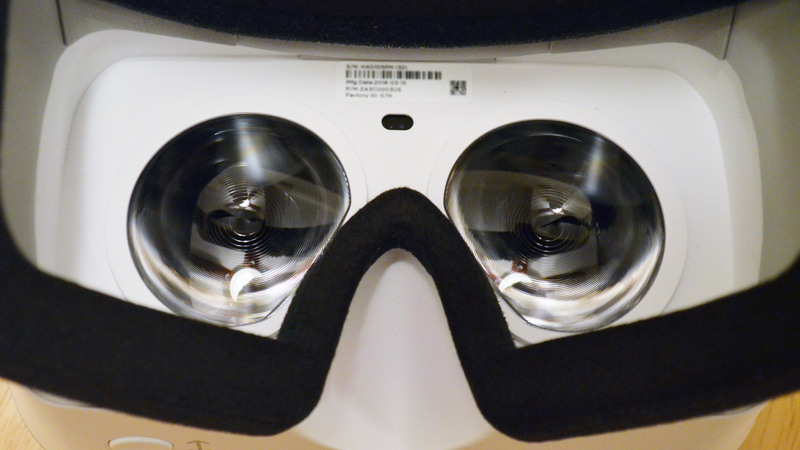 The future of VR is NOT using ancient lenses with tiny viewing spot, lens reflections/glow. There is hope on the horizon and it does not involve fresnel. 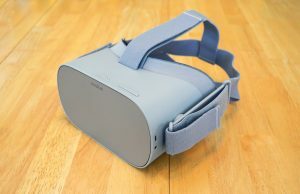 So why does the Oculus Go use Fresnel and it is perfectly focused everywhere, no precise sweet spot? Fresnel is the future because above 90 fov it is needed and it can have a much needed bias to concentrate more pixel in a specific region. LOL. Fresnel will be dumped at some point when true next gen lenses arrive. Carbon nanotube. Octopus Go uses Fresnel and ALL fresnel have a sweet spot. The impact of the sweet spot depends entirely on the distance of lens, the number of rings and the magnification. 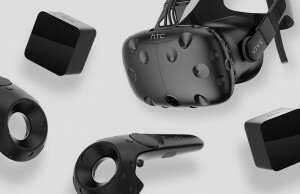 So if there is “no sweet” spot as you claim, it would be only through very careful design unlike the clumsy optics of Vive or even the CV1 dual element workaround. 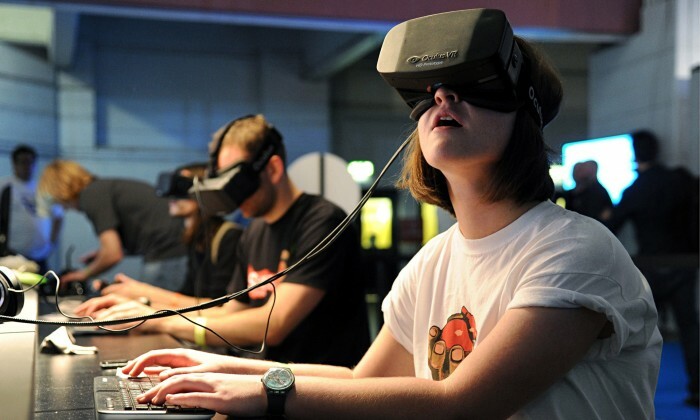 So no… Fresnel is not the future of VR. It has too many negatives. Production process is still problematic and comically expensive. Yield for this type of glass is worse than chip wafers a few years ago. Probably five years away for consumer level mass devices. Hens the Fresnel compromise. Nevertheless fresnel is not the future. I agree after reviewing dozens of lens designs for my own mobile headset. I settled on a 42mm aspherical PMMA that is very close to the eye. There are some exotic materials that reduce optical/chromatic aberrations even further but they are very expensive. Also, you need a doublet design to minimize edge distortion, which also increases overall weight. In the end it is all a trade-off that sadly Fresnel lenses right not provide the best weight/optic/price performance. The good news is that next-gen lenses are being developed and eventually products will come to market and prices fall. Back in the mid 2000’s I used to place a large fresnel lens in front of my display for immersive gaming. It was always a trade-off between magnification/ring density. Imagine a future where we could ditch lenses completely and project data directly into the eye. Do you have any articles or companies you know of who are investing time into researching new lenses? I would really like to contact them. I have the 64GB Go and the Gear VR with S8 and still deciding if keeping the Go, for the reasons noted above. 75% more, since same 64GB is $50 more. I would gladly by the Go with same features: 835, 4,000 MAH battery and micro sd slot. Prefer Oculus though, since have Gear VR with the S8. Been comparing both for several days. Main issue with the Go is battery life is about 55% less than the S8 with the Gear VR. Image quality seems to net out. With the Go you get lines and the Gear you get dots. The Gear though blows the Go away for color and contrast. The Go though total was $250, but wimpy battery, chipset and no micro sd slot. 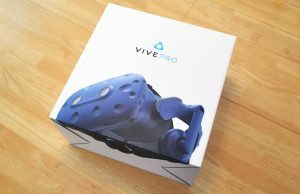 This headset and the upcoming Vive Daydream headset will failed because of the price. 6DoF should be reserved for PC driven headsets, what’s the point of mobile processors doing 6DoF? 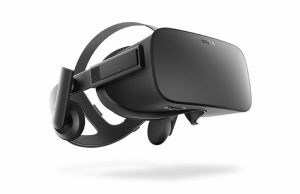 A mobile standalone headset should be cheap and know what it is – a mobile device, trying to do PC driven VR will make it looks inadequate. 3DoF is a sit-down passive VR experience, it is a more relax VR experience that can be use for a longer period without fatigue. 6DoF is a standup active experience, while it is more immersive – it’s also exhausting. If 6DoF is cheap, sure – but not now, it’s critical to get VR mainstream and the trick is keeping the price down. In geek culture: the best technology is the criteria, but in the mainstream price will always be the first concern. I have no doubt 6DoF will eventually be the default for all mobile headsets but that’s in the future. Great demo, and I guess I am not the only one using 6DOF in my backyard anymore. This also answers my questions about its ability to do stereo SLAM as well as MSXR. The only problem is the lack of visual horsepower that can be scaled up with MSXR depending on the PC you hook to it, as in the case with my ‘belt VR system.’ The other main advantage is the 6DOF hand controllers, but there shouldn’t be any reason a similar system could not created here. 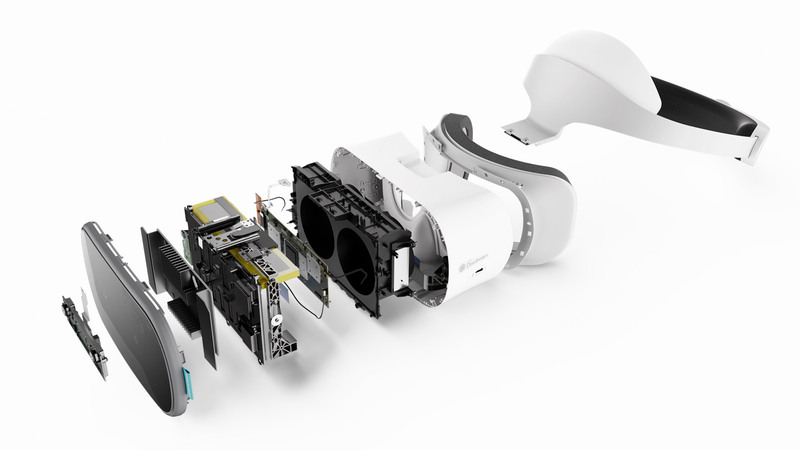 I just wished Google would have created a separate stereo SLAM module to use with a Pixel/Daydream headset. I’d pay $100-$150 for a 6DOF add-on. One other question Steve, is the “safety feature” a setting in Daydream control panel? Or a developer feature? 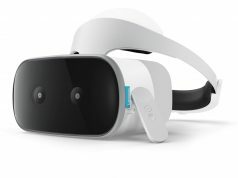 Right on the heels of the Oculus Go launch, the Lenovo Mirage Solo is here. Do you have it backwards? It actually goes way beyond positional tracking as when you go into the dev settings it lets you also force 6dof for most apps and remove the safety limits that then allows you to roam far and free.